One of our best sellers, our Charlie's Chutney has a classic rich and tangy flavour. Everyone wonders who ‘Charlie’ is…?! 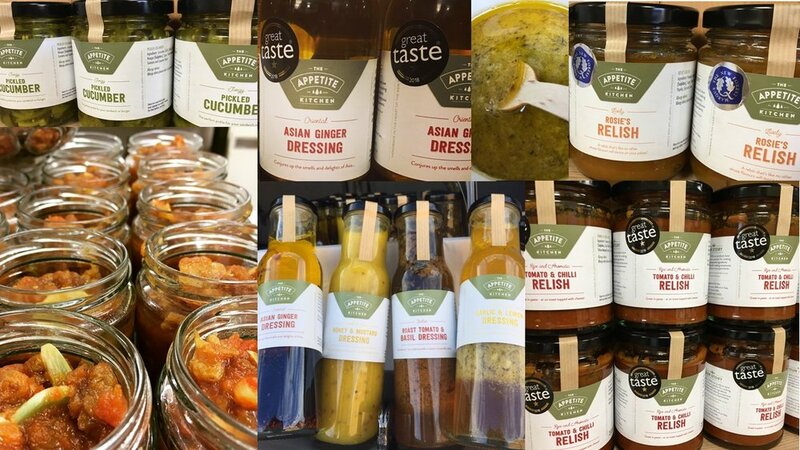 Well he is our gorgeous son, and at the grand age of 8 years old is following his dad’s love of cooking and creating – together they made this delicious chutney and we’ve been selling pots of it ever since. We describe it as a great all-rounder, there are so many ingredients and flavours you’ll pick up different nuances according to your palate. It’s fantastic with any cheese and finishes off a rustic ham sandwich perfectly! Our slowly caramalised Red Onion Marmalade is deliciously sweet, scrumptious and very moreish!! One of our bestsellers, this is such a versatile option, delicious with cheese, cold meats and in sandwiches. Try our recipe suggestion of Goats Cheese & Red Onion Marmalade Pastry Puff Slice – or if one of your favourites is good old ‘Sausages and Mash’, when making your onion gravy put a generous spoonful of this in it and you will love the taste it provides! This can be used in so many different ways: delicious with cheese, meats and in sandwiches. It’s not spicy – we make it so it’s got a bit of a ‘tang’ but flavour is the key to this relish. It’s great stirred in to pasta if you want a quick meal or spread on toast and sprinkle some cheese over it then grill for a couple of minutes, another easy snack.. However one of our favourite suggestions is to include it in your shepherds or cottage pie meat mix and let it simmer and spread its wonderful aromatic flavour throughout the dish.. This was a recent addition to our range and has been a best-seller. It does have a big chilli kick – and people LOVE it! It's the perfect partner to a local cheeseboard and large glass of red wine. Equally it is absolutely delicious with a curry (replace your lime pickle with this), red meats and sausages, especially if they’ve just come off the BBQ.. The best suggestion we’ve heard is smothered on a hearty burger! The perfect partner to Charlie's Chutney above, Rosie was named after our fab 6-yr old daughter! Bursting with local pumpkins, tomatoes and touches of ginger, coriander seed, chilli and cumin this relish has an amazing tangy flavour - perfect on a rustic ham chunky sandwich or with any cheese. Launched for Christmas 2018, these have quickly become an Appetite Kitchen ‘firm favourite’ with our customers! Tangy and simply delicious, they are perfect in a sandwich, burger or on the side of any dish you like - or how about just getting a fork and eating straight from the jar….. mmmmmmm!! Hand-peeled silverskin onions pickled to perfection. We use only the finest silverskin onions, hand-peeled and left to marinade in our own spicy juices - these are very lively! This olive oil has a wonderful aroma and is delicious drizzled over meats and salads. It's also perfect for seasoning slow roasted vegetables. One of our topsellers, this attractive looking bottle catches the eye, and it will tingle your tastebuds with its lively flavours that come through. Perfect drizzled over pizzas, meats and curries to add that extra 'zing'! Contains Hampshire rapeseed oil. Our Garlic & Lemon Dressing has a fantastic fresh and tangy flavour. All of our dressings double up as marinades, they embrace core flavours and can be used in a wonderful variety of ways – this is another winner within our range and one of our top-selling products. It is truly tangy and the combination of garlic and lemon is wonderful. Due to the oil being local Hampshire rapeseed oil this product can be used in cooking, marinading or simply drizzled over a salad or dish. We use it a lot with chicken – pour a little over your chicken before putting it in the oven and the flavours infuse beautifully – you’ll never eat chicken without it again! Ever since we launched this, it has consistently been a customer favourite. As soon as you taste it, you’ll understand why – a delicious flavour that conjures up all that its Asian name implies… Due to the oil being local Hampshire rapeseed oil, this product can be used in cooking – stir fries with vegetables, meat and fish; to marinade vegetables, meat and fish or simply drizzled over your salad or dish. Our fresh Italian style Roast Tomato and Basil Dressing is a fantastic ‘Italiano’ option within our range! Our classic, sweet honey and mustard dressing is a store cupboard essential. All of our dressings double up as marinades, they embrace core flavours and can be used in a wonderful variety of ways – this is the classic cupboard favourite that can be adapted and used in so many different ways. Try it with roast pork – marinade it first and experience the authentic flavours. Otherwise simply drizzle over roasted parsnips or add it to mash instead of butter, especially good with sausages! White Chocolate & Cranberry Rocky Road: £4.50 Perfect with pj's on the sofa! Boozy Rocky Road: £4.50 The cranberries are mulled in sloe gin, thus creating a beautiful subtle flavour.. Dark Chocolate Rocky Road: £3.95 Moreish beyond belief.. Traditional Fruit & Seed Flapjack: £3.75 A core favourite, homemade bursting with fruits and energy! Salted Caramel Fudge Rocky Road: £4.50 One of the yummiest things you could ever taste….!! !